grace h. kim | john wiley & sons, inc. Successfully navigating a career path in architecture can be daunting, and it only begins at graduation with an accredited degree. You'll have many questions: What is the right architecture firm for me? When, why, and how do I complete the IDP? Should I become licensed? How much time do I have to decide? Where can I go for answers? Written by Grace Kim, a young architect who has worked in large and small firms and started her own firm, The Survival Guide to Architectural Internship and Career Development is a concise guide to understanding the choices and decisions you will confront on the road from student to practitioner. Whether you are currently an architecture student, starting the internship process, taking the registration exams, or beginning your own firm, this book demystifies the process for you. Kim offers helpful tips for the many professional development milestones, and first-person short essays from interns, architects, and those who chose an alternative path provide real-world advice to readers. For everyone entering the architecture profession and related fields, The Survival Guide to Architectural Internship and Career Development is a valuable book you'll turn to for advice—from finding a mentor to starting your own firm. lee w. waldrep | john wiley & sons, inc. Becoming an Architect is the definitive guide to obtaining the skills and education necessary to be an architect. This hands-on book features complete coverage of the three central components of becoming an architect—education, experience, and exam. Waldrep guides the reader through the major hurdles of graduating with an accredited professional degree in architecture, gaining experience through an internship, and passing the Architect Registration Examination (ARE). 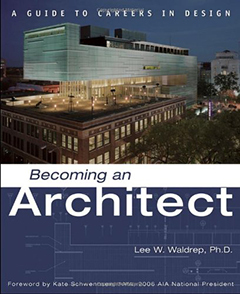 Culled from years of experience guiding eager students along the path to becoming professional architects, Lee Waldrep covers everything aspiring architects needs to know—from helpful information on the profession, design specialties, and educational and registration requirements to advice on finding a job and the many career options in architecture. Dozens of in-depth interviews and career profiles with practicing architects give insightful, authoritative perspectives on numerous specialties and alternative paths that one can pursue with an education in architecture. In her Foreword, Kate Schwennsen, FAIA, the 2006 AIA national president, writes, "This book recognizes the breadth and depth of architect's responsibilities and possibilities. It recognizes that architects' are uniquely placed by virtue of their education and experience to understand and mitigate the complex predicaments of the twenty-first century. This book is a fundamental beginning to a life of accomplishment as an architect." Packed with helpful, accessible information, Becoming an Architect is an essential guide for anyone entering or considering the architecture profession. 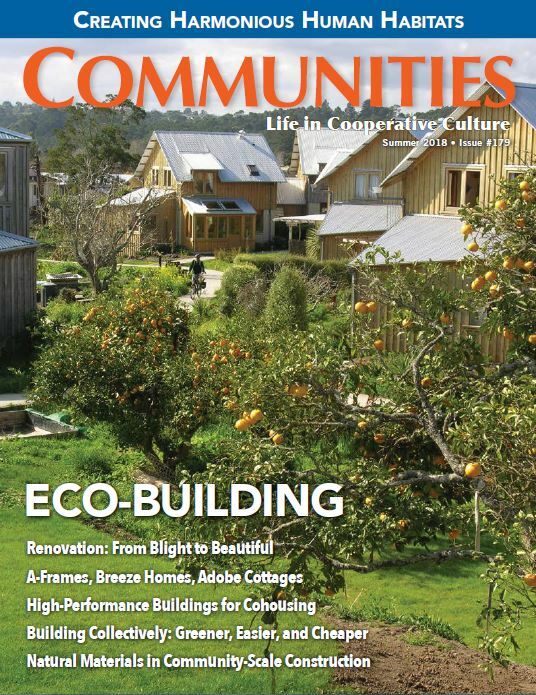 "a high-performance building for cohousing: from vision to move-in"
"So, you want to design, build, and live in community in the most ecologically positive building that can be built? This is the vision that my partner and I had as well, and here’s the story and aspirations that took us on the decade-long course to move-in in July 2016, along with lessons learned along the way. [...]"
"making a case for urban cohousing"
community and “neighborhood” to describe the greater neighborhood that surrounds it. [...]"
Contributing staff members at schemata blog about events related with the workshop including celebrations, presentations and announcements. "types of firms (and who might be looking to work there)"
"When thinking about your ideal employer, it’s important to remember that there are many different types of architecture firms, not only in terms of the projects they take on or their designs, but also in terms of business practices and service delivery methods. Although there is no industry-prescribed classification of firm types, several books attempt to distinguish the various business models firm use. [...] These archetypes have specific characteristics that provide direction for marketing and business decisions:..."
"westport needs to maintain an 'authenticity of place'"
"Authenticity is critical to the success of any town, large or small. Westport is sited very dramatically where Grays Harbor meets the Pacific Ocean and maritime industries are its history. It is critical to the success of Westport to maintain an authenticity of place during this current period of growth..."
"where is your town center?" "If a complete stranger asks, "Where is your town center?" what would you say? Following the success of its first three outreach films, Action: Better City embarked on its most ambitious mission to date: a ten day, nine town safari hunt for contemporary town centers. Armed only with digital fim cameras, we piled into a Winnebago and traveled to Mt. Vernon, Lynnwood, Monroe, Snohomish, Kirkland, Renton, Kent, Tacoma, Centralia, and Monroe to aska simple question: "Where is your town center?"..." "55 minutes for 5 dollars"
"“Destination” outlet malls, the Wobblies War of 1919, and the African-American founding father George Washington; that’s all I knew of Centralia as we exited the off-ramp. Seeing a sign for the City Center, we turned left. Heading into town, my aspirations for the “cultural life” of Centralia almost non-existent. That is, until I saw, out of the corner of my eye, a calliope of white and gray forms jutting over the top of a tall hedge..."
"As a book of essays written primarily by academics from Southern California, it's no wonder that Everyday Urbanism takes on an academic tone. 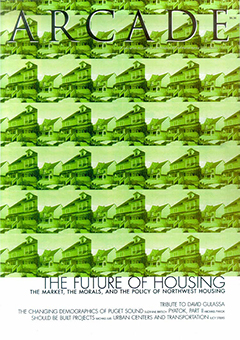 While I generally found the topics to be of interest, at times the overly complex language or unrealistic proposals discouraged further reading..."
"Often confused with the hippy communes of the 1960s, cohousing is easily misunderstood by Americans, and dismissed by many as a viable housing option. Pioneered by the Danish in the early 1970s, cohousing developed due to the lack of choices in housing and apartments. 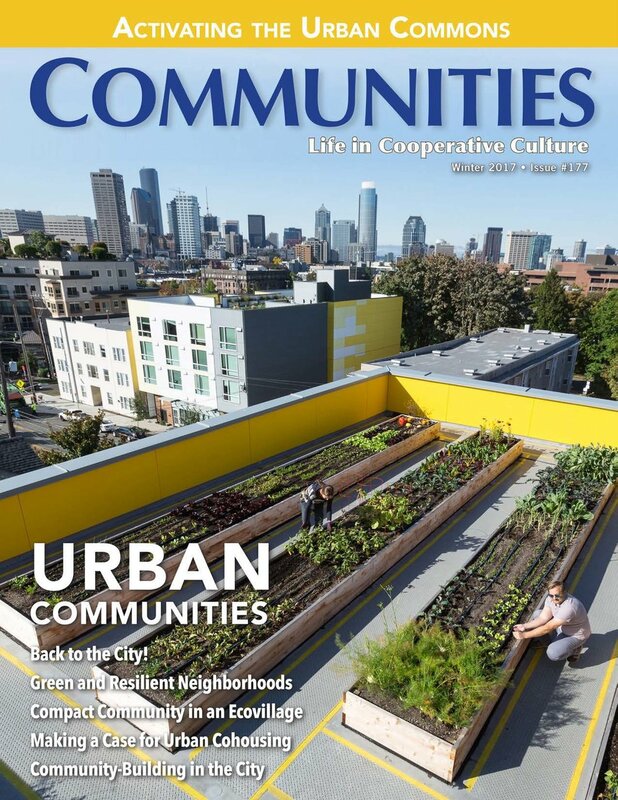 For the same reasons that the Danes began their investigation of communal living, Americans - including some in Western Washington - were drawn to the re-establishment of a community focused lifestyle..."